"Vintage Vocals can do a great job of adding ‘human’ to your latest ’70s TV cop show cue." 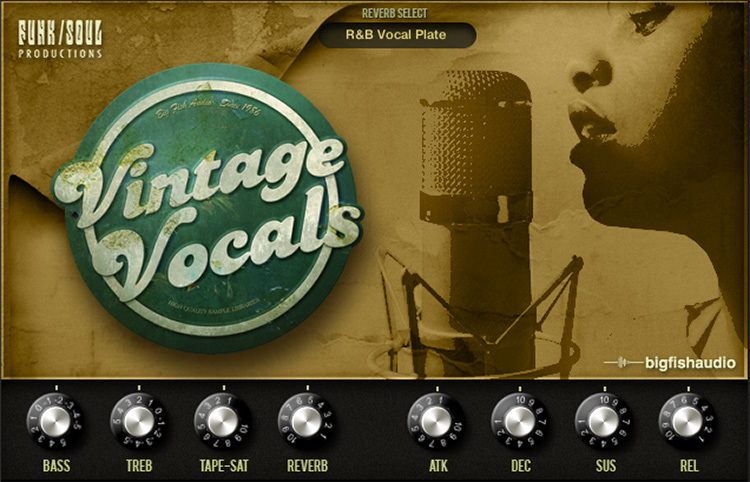 The Following End User License Agreement is included with Vintage Vocals. 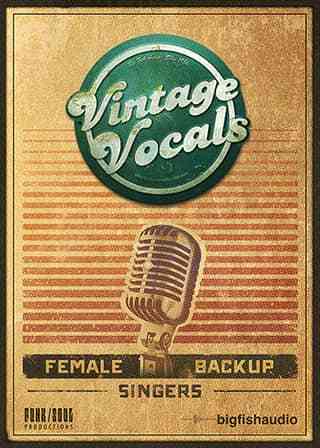 This License is only valid for the individual who has purchased an unopened, new and lawfully made copy of Vintage Vocals from a dealer or distributor authorized by Big Fish Audio. 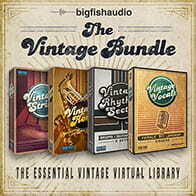 "The Following End User License Agreement is included with Vintage Vocals. This License is only valid for the individual who has purchased an unopened, new and lawfully made copy of Vintage Vocals from a dealer or distributor authorized by Big Fish Audio. "End User License Agreement: The samples contained herein are licensed, not sold to you, the individual end user, by Big Fish Audio. This non-exclusive, non-transferable license is granted only to the individual end user who has purchased an unopened, new and lawfully made copy of this product from a dealer or distributor authorized by Big Fish Audio. All samples remain the property of Big Fish Audio and are licensed only for use in the creation of a live or recorded performance that includes the licensed samples as part of a derivative musical work created by the licensed end user. This license expressly forbids resale, rental, loan, gift or transfer of these samples in any format or via any medium, except as part of a derivative musical work. The samples may not be included, whether unmodified or as part of a derivative work, in any sample library product. Any unlicensed usage will be prosecuted to the maximum extent possible under the law.""